Sold together with Dungeon Hack. Pre-packaged with DOSBox. The retail version requires the manual to answer copy protection questions. The GOG.com version has the copy protection cracked (type anything, then press ↵ Enter). Patch 1.1 the latest version. The GOG.com release is already patched. Save folders are SAVE00 to SAVE10. 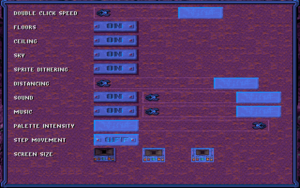 Official DOSBox builds don't support printing. Set up DOSBox printer support. 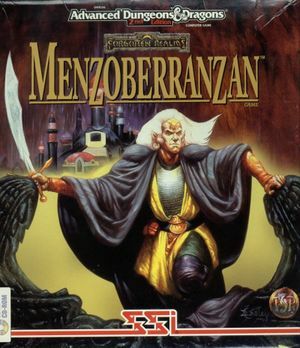 For the GOG.com release the file to edit is dosbox_menzo.conf in the installation folder. Automaps and conversations can now be printed.